Build your child's self-esteem with family photos - put them on your walls! My 5 year old daughter gabbled on excitedly, barely drawing breath, taking her big cousin on a virtual tour through the “rogues’ gallery” of family photographs on our living room wall. Each photograph is etched in her memory, even though she was too young to recall actually being in any of them. Each one is a treasured memory for her now because she can actually see the proof, on the walls of her home, that these things happened and these people did these things with her. They illustrate her place in this family and the relationships she has with the people who love her. They illustrate times she has no conscious memory of but simply loves to look at photographs of, think about, discuss, and proudly tell others about. Because they’re part of her story and who she is. The photos are not just for us! After seeing how hugely my own children enjoy seeing photographs of themselves displayed in our home, I wondered if this was a common reaction. I got onto Google to see if anyone had ever looked into this more thoroughly, and, what do you know ..? Absolutely, it’s certainly been researched. We usually think of family photographs as something that we as adults value and treasure, don’t we? And we assume our children will value them when they’re grown up and can look back and see a record of what they looked like when they were little. But it’s more than just that. Much more. 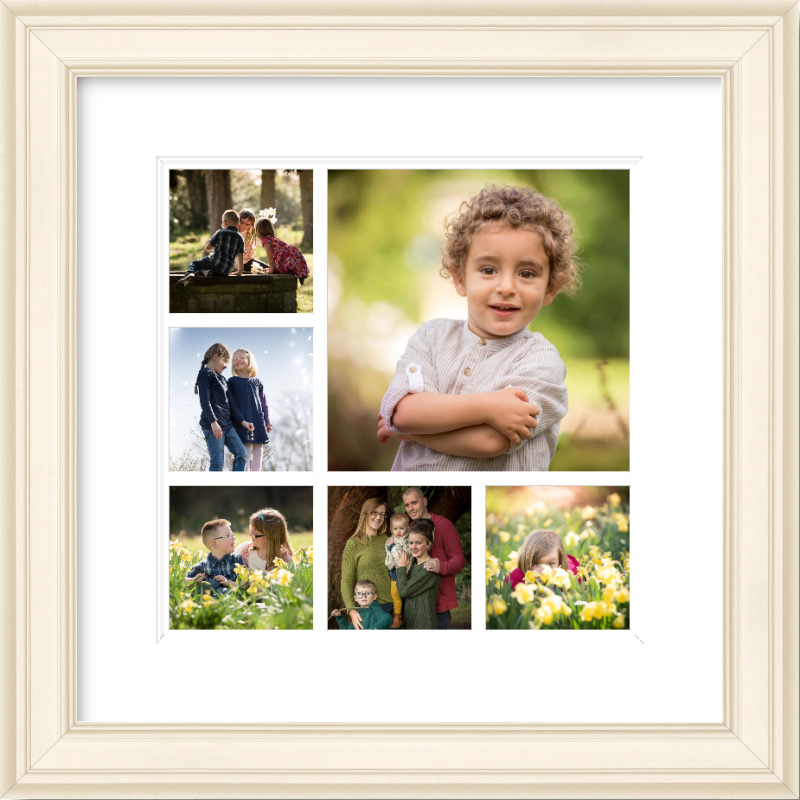 I can honestly say, I had no idea that displaying family photographs in your home can significantly increase your child’s self-esteem and help to give him a deep and unshakeable sense of belonging. https://phototherapy-centre.com/ has a good amount of information on this topi, and after having had a really good poke about there and in other sites it links to, I’ve learned a lot, which I’m going to share with you here. In Manchester in 2009, 1,000 parents were surveyed regarding their family photos, with some interesting results. “We cannot underestimate the power of photographs to keep us feeling linked to others and belonging. They cement us into our networks. For children in particular, looking at photographs is part of the socialising process; learning who you are and where you fit into the family. When you think about it, this really isn’t rocket science, is it? But I bet it hasn’t occurred to most of us. “Our research shows how important it is to find the time to capture the real essence of a family. In today’s time-pressured world it is becoming increasingly difficult to spend good quality family time, but when we look at photographs we remember how we felt when that picture was taken. When children grow up surrounded by photographs, it gives them a richer understanding of where they come from, which helps with confidence. So it really does look like photography plays an important in promoting healthy self-esteem in our children. This is backed up by Dr. David Walsh, founder and director of Mind Positive Parenting and founder of the National Institute on Media and Family in Minneapolis, whose mission is to advance the well-being of adolescents and children. He then goes on to explain that “Mirror neurons” in the brain fire up when we watch someone else do pretty much anything, and that’s what helps us empathise with and read the feelings of others. When we see someone cry, the mirror neurons associated with sadness in our own brain are activated. And this is also why babies smile back at folks who smile at them. Human beings are wired to connect to other human beings – since the beginning of our species it’s been fundamental to survival. Dr Walsh says that the foundations of self-esteem are built in the first few months of life when the primary care-givers are “present, attentive, attuned, and responsive”. 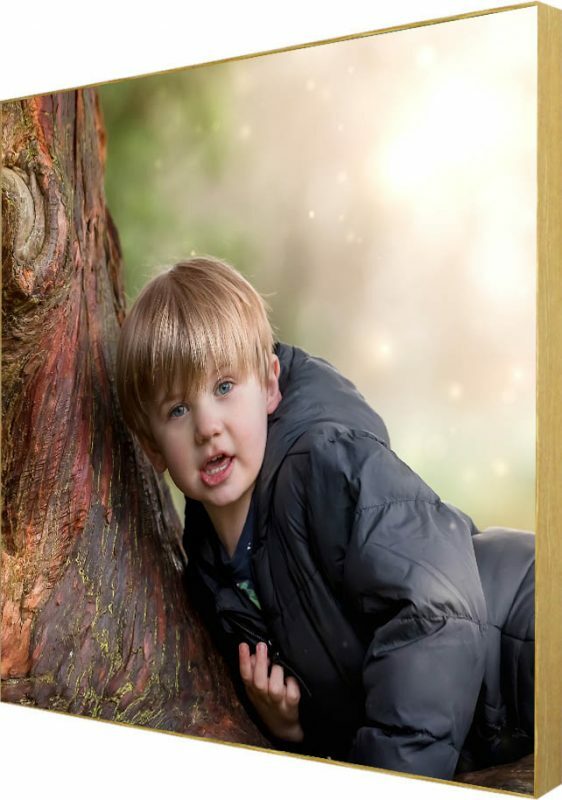 The child then believes he’s safe and his needs will be met, he develops a deep sense of connection with those in his family and his world, which is paramount for healthy self-esteem throughout his life. So we can see now that a sense of belonging and security plays a vital part in healthy brain development in children. If they don’t feel this connection, their brains feel stressed and preoccupied with responding to threat, and so their brain activity is diverted to the parts associated with protecting basic survival instead of developing healthily. Walsh believes there are several ways parents can reinforce this strong sense of belonging throughout childhood. Friendships with others who share your child’s interests are very important, but it’s vital to remember that the first and most important team he’s part of is his own family. All of that, according to Walsh, is why photographs which show children in their “tribes”, whether that’s school, sports team, or family, help them establish a solid sense of belonging. We photograph them when we celebrate the birthdays, when we memorialise the family holiday celebrations, we photograph them to remember being on that team. We may have five senses, but we have more brain cells dedicated to vision than all of the other senses combined. When your child brings home his class photos and you open the envelope, the first thing he does is look to see where he himself is in the group. Those printed pictures become a point of reference in his family relations too. “Look, there’s me!” he’ll tell you excitedly, instantly forging a connection between him-and-family and him-and-social-group. It’s all connections! Admit it … Don’t you search for yourself first every single time you look at a group photo which you know you’re in? That sense of belonging you see in your familiy photographs doesn’t only make your children feel good, but it makes the rest of us feel good too. How can photographers enhance this feeling of belonging even more? Well, when you trust me with taking your family portraits, I do my utmost to put your child at ease and make him feel welcome. I’ll use your child’s name, because when he hears his name it reinforces this critical sense of belonging and makes him feel safer. I’ll smile at him a LOT, to fire up his mirror neurons. Children are like sponges, aren’t they? They absorb the behaviour and mood of people around them. My job is not just to give you as a client something pretty which you’ll love to look at. More important than that, my job is to make your children to see themselves as a valued and important part of that family unit when they see my photographs on your wall. My job is to make your wall portrait look like a safe space for you children where they are loved and protected. And what’s your part in this? Once you’ve made the decision to get family photographs taken, being as relaxed as possible at your photography session certainly helps. It helps a LOT. If you’re fussing too much over his appearance or behaviour, or if you get uptight about him not smiling enough, things can’t possibly go well because he’s going to mirror your emotions and mood. Relax, and trust that his behaviour and appearance will be just fine, and this is so much more likely to be true. Put your photos on your walls! Your part is also to put your family photographs on your walls where your child can see them every day without having to turn on a device or click around on a computer or tap around on a phone to find them. Having them there on the wall in plain sight really embeds that sense of reassurance and comfort for your child and embody a sense of protective certainty. Taking this a step further, why not put family photographs on the wall in your child’s bedroom so they’re one of the first things he sees when he wakes up and one of the last things he sees at night before falling asleep? That way he can’t miss the message that your family and all those in it are important to one another and the memories of the times he experiences are honoured and that he himself is loved and cared for. Simply putting your photographs on Facebook may well keep the aunties happy, and it might satsify your hankering for “likes”, but it’s certainly not taking advantage of the psychological and emotional benefits your children will get when the photos are on the walls of your home or in an album which can actually be physically touched on a regular basis. Touching a smiling face in a photograph stimulates positive brain activity a lot more than merely viewing it on a screen and is a completely different sensory experience. My 5 year old wee girl certainly wouldn’t be rushing over to switch the computer on and navigating her way through 10 years’ worth of photographs to show her big cousin the nappy-changing photographs, to be sure. Whether you decide to book a specialist family photographer like me to take your family portraits or whether you decide to get a friend to snap some smartphone pictures of your family together, please, do it now. Don’t wait. Don’t let your children get any bigger before you start putting your family pictures on your walls. Don’t NOT do it because your children are teenagers and you think it’s too late. It’s never too late to bring your family together and show them and the world that they’re the centre of your universe. I’d love to know your thoughts on this. It’s been quite an eye-opener for me, learning about the effects on my children of having family photographs of my walls … Did you know that family photographs help children’s self-esteem already, or is it news to you too? And if this isn’t enough, have a look at my post which explains more about the importance of printing photos.